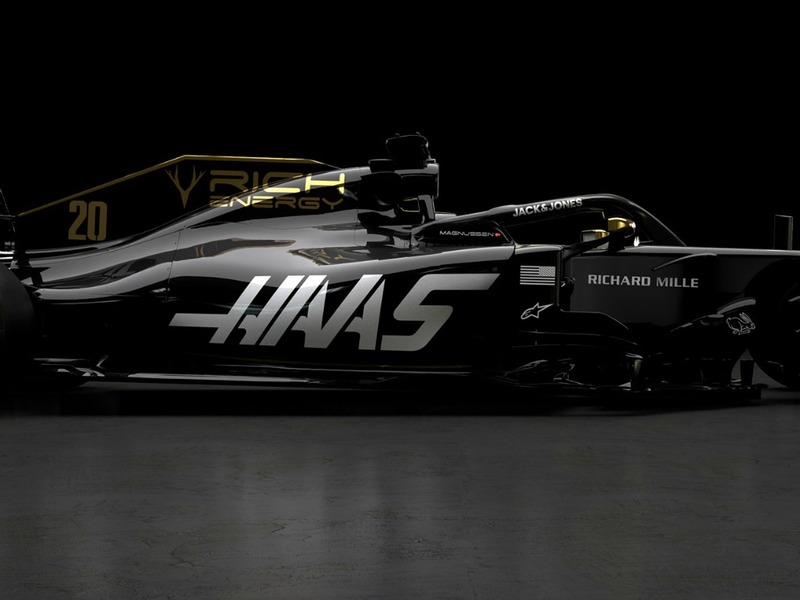 Haas have kicked off the Formula One launch season with the reveal of the Haas VF-19. The team teased us earlier in the week with a picture of their drivers sporting new merch. 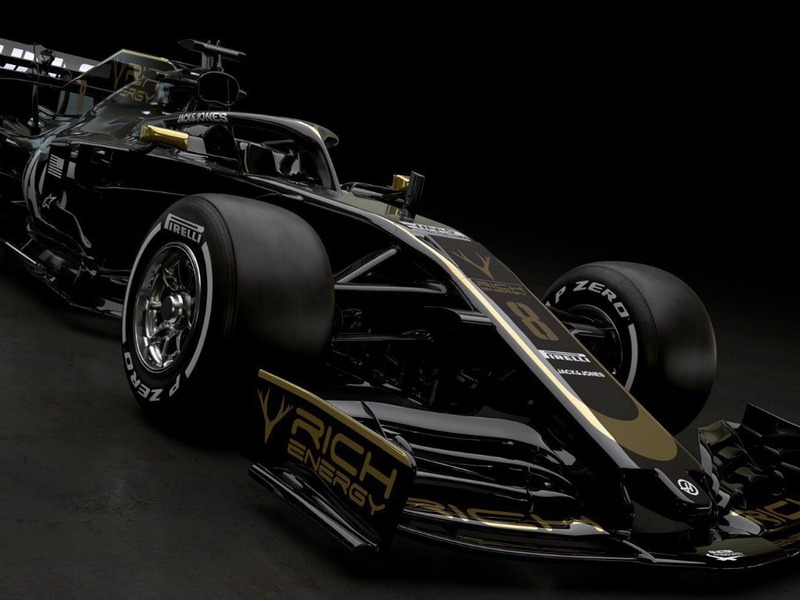 It was another indication that rumours of a new black and gold livery were true. With just hours to go until the official launch, we received a further tease from the American team, this time with the car under its shield. Again – black and gold cropped up. 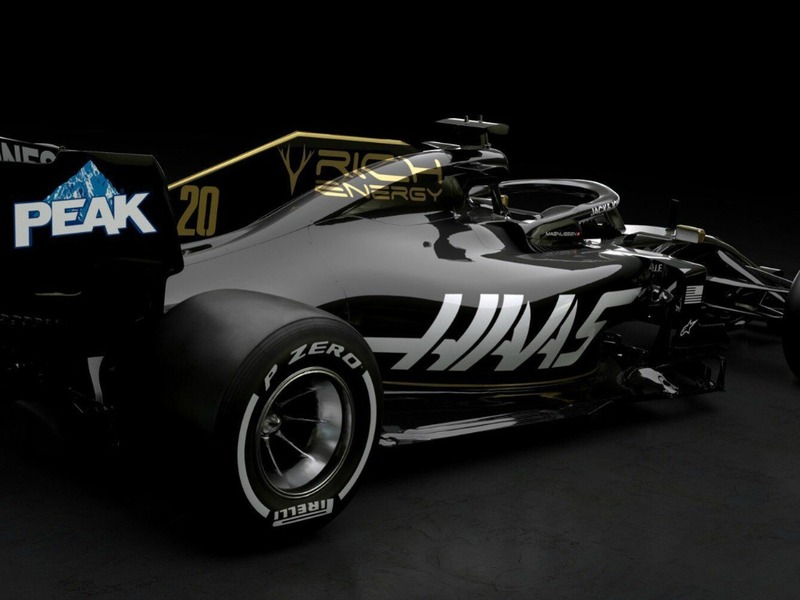 Our expectations were confirmed, as Haas went for a whole new livery, a black base with gold contrast, with the Haas branding down the sides standing out sharply in white. Haas provided us with the first proper look at the simplified front wing – brought in as part of the 2019 aerodynamic regulations designed to promote overtaking. 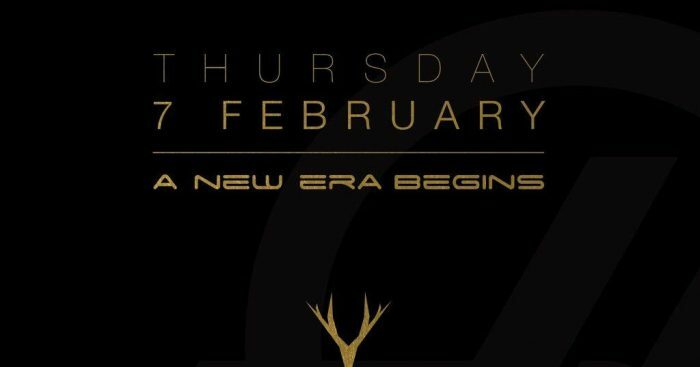 The Rich Energy branding appears on the side of the airbox, while Peak also debuts on the side of the rear wing. 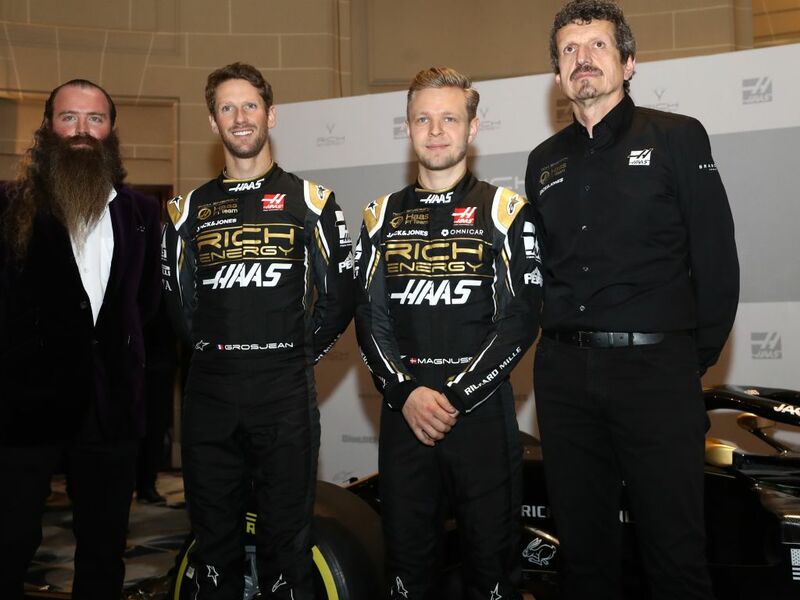 Romain Grosjean and Kevin Magnussen weren’t too willing to follow the requests of unveiling the car from the back, but they will both agree that their new race suits look splendid. 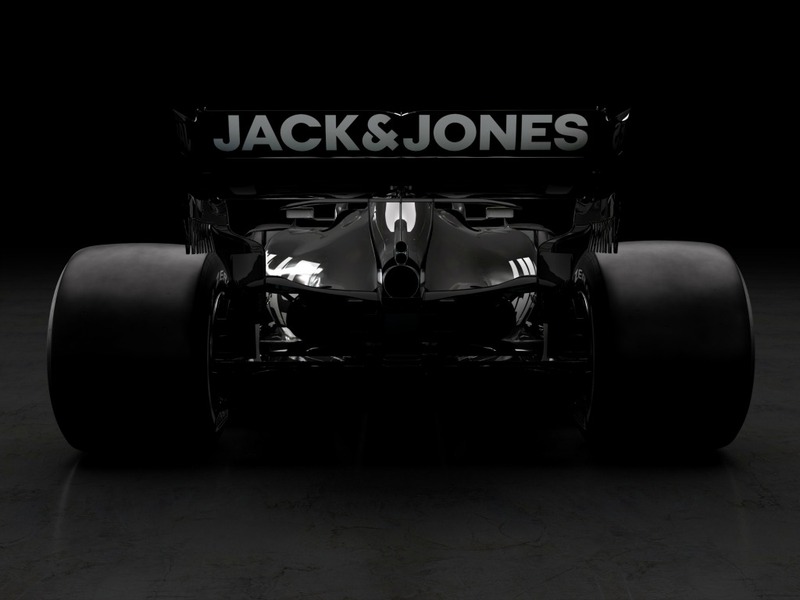 Clothing brand Jack and Jones retain their place on the rear-wing in 2019, as well as on the halo. 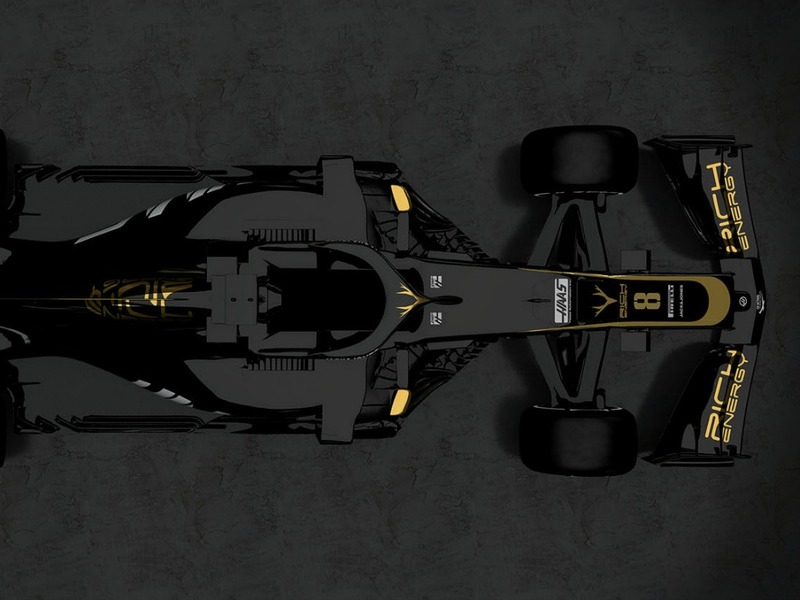 An aerial shot further highlights the new front-wing design, as well as the new gold plating around the front nose, previously red or grey with past cars.